Is there anything so wondrous as a well-made caftan? No other casual wear has the power to make you feel jet-set fabulous, even while schlepping around the house barefoot and braless, eating salt and vinegar chips by the handful. And lately, the garment has experienced a renaissance. Back in May, the Cut produced an ode disguised as a guide to a caftan-ready body; Christina Hendricks has talked Jimmy Fallon into donning one. Numerous bloggers (myself included) will happily sing their praise as work-from-home wear. They've just got that perfect frisson of glamour and faded glamour—a pinch of Sunset Boulevard. In honor of the caftan's reemergence, Collector's Weekly has assembled a history of the garment, from ancient times to the 1970s and beyond. You probably won't be surprised that, like so many things in the Western world, the caftan's association with Hollywood and high fashion began with a little cultural shoplifting. Picture layers of appropriation—a veritable coconut torte of appropriation. If you must have a definite point of origin, the caftan likely comes from ancient Mesopotamia. But they've been popular all over: "It's the kind of garment that has been worn throughout history by lots of different cultures," explained fashion historian Anna Yanofsky. "The idea of taking loose fabric and covering the body is prevalent throughout the world." The West's pilfering began with Czarina Alexandra and her sumptuous, traditional coronation gown. Serge Diaghilev and his Ballets Russes played their part, with their trendsetting (and wildly orientalist) productions. But the modern caftan comes courtesy two women: Diana Vreeland and Elizabeth Taylor. As Tiki culture grew outdated in the late 1960s, a new form of so-called "ethnic fashion" blossomed. In the early '60s, "Vogue" editor-in-chief Diana Vreeland discovered caftans on a trip to Morocco, and began to wear them around the office and champion them in her writing, calling them "the most becoming fashion ever invented." In 1964, Elizabeth Taylor met young fashion designer Vicky Tiel, who was wearing a white lace mini caftan, and decided she absolutely must have one. "It allowed you to wear really comfortable clothing in public, things that you might have reserved for just wearing behind closed doors in your own house," she says. "It was teasing the boundaries around your domestic space, like what you're wearing at home versus what you're wearing out." These days you can wear whatever you damn well please—the days of leaving the house in gloves and a pillbox had are generations gone. Wear shorts to work, sweatpants to the grocery store; no one cares. Nor does this go-round of caftan popularity seem tied to some appalling half-baked fantasy about The East, so much as an obsession with anything and everything retro. Instead, caftans offer a middle ground for women who're accustomed to comfort, but want something a little more exciting (and nostalgic) than yoga pants. 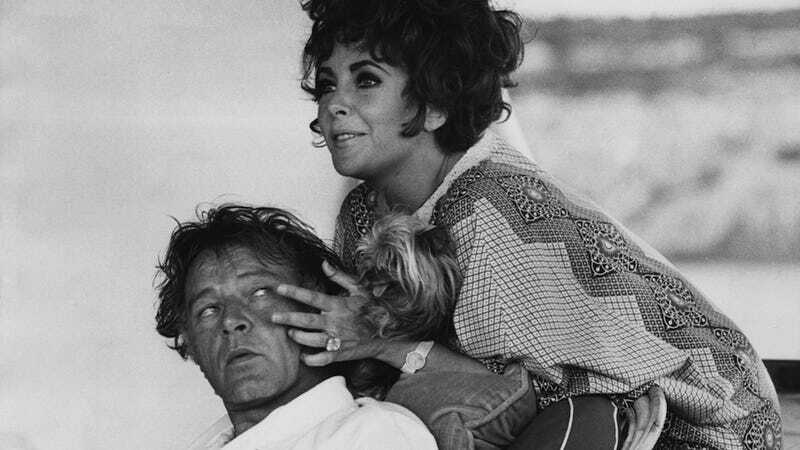 Plus, it's the easiest way to feel like Elizabeth Taylor, short of screaming drunkenly at some aspiring actor who thinks he's the second coming of Richard Burton.